By using our website, you accept our terms and conditions. The following terms and conditions govern your use of this website ("Website") of The Turnkey Foundation Inc. (DBAs "Arbor Financial Group", "Arbor Real Estate Group", "Arbor Insurance Service", "Turnkey Mortgage Management") and all information and materials provided on the Website. By accessing or using the Website, you acknowledge and accept these terms and conditions without limitation or qualification. Accordingly, please read these terms and conditions carefully. These terms and conditions may be modified at any time, and any such modification shall be effective and binding upon you immediately upon posting. You should review these terms and conditions each time you visit this Website to learn of any modifications made since your last visit. The Website is owned and operated by The Turnkey Foundation Inc. Unless otherwise noted, all information and materials provided on the Website, including without limitation, all text, articles, images, audio, video, graphics, data, compilations of data, listings, screens, web pages, documents, multimedia elements and software ("Content"), are the property of The Turnkey Foundation Inc. or its content suppliers, and are protected by U.S. and international copyright laws and other intellectual property laws. The name and trademark ARBORFG, and all other names and trademarks (whether or not registered) associated with The Turnkey Foundation Inc. and its products and services displayed on the Website ("Trademarks") are the exclusive property of The Turnkey Foundation Inc., and are protected by U.S. and international trademark laws and other intellectual property laws. All other trademarks that appear on the Website are the property of their respective owners and are used solely to refer to the goods and services of such owners. The Turnkey Foundation Inc. grants you a limited license to access and use this Website for your personal use. You may not (or permit any third party to) use or exploit any Content except for its intended purpose, which is to assist The Turnkey Foundation Inc. in providing sales, leasing, and other mortgage and real estate services for its customers' properties. Except as provided herein, you may not (or permit any third party to) otherwise copy, reproduce, reuse, republish, distribute, upload, post, transmit, display, modify, create a derivative work based on, reverse engineer or otherwise use for public or commercial purposes any Content without the express written permission of The Turnkey Foundation Inc. You may not (or permit any third party to) take any action to contact directly any property owner or use any Content in a manner that is in violation of the rules and regulations promulgated by the California State Department, or any other federal, state, or local law or regulation. Further, you may not (or permit any third party to) use any Trademarks, including in any advertising or publicity pertaining to distribution of information and materials from the Website, without the express written permission of The Turnkey Foundation Inc. Given the unpredictability of technology and the online environment, The Turnkey Foundation Inc. does not represent or warrant that the function or operation of the Website will be uninterrupted or error-free, that defects will be corrected, or that the Website or the server that makes it available will be free of viruses or other harmful elements. While The Turnkey Foundation Inc. has attempted to offer current, correct and clearly expressed information and materials on the Website, The Turnkey Foundation Inc. does not represent or warrant that the information and materials accessible via the Website are accurate, complete or current. Any price or availability information appearing on the Website is subject to change without notice. Listings may be withdrawn at any time without notice. THE INFORMATION AND MATERIALS CONTAINED ON THE WEBSITE, INCLUDING, WITHOUT LIMITATION, THE CONTENT, ARE PROVIDED "AS IS," AND The Turnkey Foundation Inc. MAKES NO REPRESENTATIONS OR WARRANTIES OF ANY KIND, EXPRESS OR IMPLIED, WITH RESPECT TO THE WEBSITE OR CONTENT. The Turnkey Foundation Inc. DISCLAIMS ALL REPRESENTATIONS AND WARRANTIES OF ANY KIND, INCLUDING, BUT NOT LIMITED TO, WARRANTIES OF MERCHANTABILITY, FITNESS FOR A PARTICULAR PURPOSE, WARRANTIES OF HABITABILITY, TITLE AND NON-INFRINGEMENT. YOUR ACCESS AND USE OF THE WEBSITE IS AT YOUR RISK. NEITHER The Turnkey Foundation Inc. NOR ANY OF ITS OFFICERS, DIRECTORS, MEMBERS, EMPLOYEES OR OTHER REPRESENTATIVES WILL BE LIABLE FOR ANY DAMAGES, SPECIAL, CONSEQUENTIAL OR OTHERWISE, ARISING OUT OF OR IN CONNECTION WITH THE USE OF THE WEBSITE OR ANY INFORMATION OR MATERIALS CONTAINED THEREIN EVEN IF ADVISED OF THE POSSIBILITY THEREOF. THIS LIMITATION OF LIABILITY IS COMPREHENSIVE AND APPLIES TO ALL DAMAGES OF ANY KIND, INCLUDING, WITHOUT LIMITATION, LOSS OF DATA, INCOME OR PROFIT, LOSS OF OR DAMAGE TO PROPERTY AND CLAIMS OF THIRD PARTIES. While The Turnkey Foundation Inc. welcomes your feedback regarding the Website, The Turnkey Foundation Inc. is under no obligation to (i) respond to communications or submissions received through the Website, (ii) maintain such communications or submissions in confidence, or (iii) pay compensation of any kind for such communications or submissions. The Turnkey Foundation Inc. does not wish to receive any confidential or proprietary suggestions, ideas, information or other materials via the Website or any electronic mail connection. All unsolicited suggestions, ideas, information or other submissions that are disclosed or communicated to The Turnkey Foundation Inc. through the Website shall become and remain the exclusive property of The Turnkey Foundation Inc. Any submission by you is a declaration of the full release of all proprietary claims and/or intellectual property rights regarding your submission. From time to time, The Turnkey Foundation Inc., may decide to provide links to websites that it determines may be of interest to visitors to The Turnkey Foundation Inc. website ("Website"). These websites may be controlled by third parties over whom The Turnkey Foundation Inc. has no control. The Turnkey Foundation Inc. is not responsible for the contents of any linked website, any link(s) contained in any linked website, or any changes or updates to the information contained in any such website. The Turnkey Foundation Inc. provides links to third party websites only as a convenience, and the inclusion of any such links on the Website does not imply The Turnkey Foundation Inc. endorsement of either the linked website, the organization operating such website, or any products or services of that organization. Should any link on the Website or any linked website be found to be objectionable for any reason, a request that the link be removed from the Website should be sent to info@arborfg.com. The Turnkey Foundation Inc. will consider all such requests, but shall have no obligation to respond or remove any links. The Turnkey Foundation Inc. permits third party websites to link to the Website pursuant to the terms and conditions set forth below. If you are interested in linking to the Website, please notify The Turnkey Foundation Inc. by sending an e-mail to info@arborfg.com Include your name, your organization name, contact information, the URL of your website and a list of all URLs from which you intend to link to the Website. Any links are to be underlined text-based links using the words "The Turnkey Foundation Inc." or "arborfg.com" (the "Licensed Marks"). You may not use any other trademark or logo as a link to the Website. By linking, you acknowledge and agree that, other than as set forth herein, all rights in and to the Licensed Marks, other trademarks of The Turnkey Foundation Inc., the content appearing on the Website and the design of the Website belong to The Turnkey Foundation Inc. You agree not to directly or indirectly challenge, violate or infringe these rights. You may not misrepresent your relationship with The Turnkey Foundation Inc. or present false or misleading impressions about The Turnkey Foundation Inc. No links to the Website may be used in a manner that implies or suggests that The Turnkey Foundation Inc. approves or endorses you, your website or your goods and services. The Turnkey Foundation Inc. shall have no responsibility or liability for any content appearing on your website. By accepting the limited license granted herein, you agree to defend, indemnify and hold The Turnkey Foundation Inc. harmless from and against any liability, damage, loss or expense, including reasonable attorney fees and the cost of any defense or settlement, arising from or by reason of any claim, demand, action or allegation arising out of or based on your website. The Turnkey Foundation Inc. reserves the right at any time and in its sole discretion to request that you remove all links or any particular link to the Website from your website. The Turnkey Foundation Inc. uses the personally identifiable information we collect about you to process requests to provide you with additional information. The choice of how much of your personally identifiable information is disclosed to The Turnkey Foundation Inc. is left completely up to you. When visiting any Internet site, your unique internet provider's address, called an "IP address," is recorded. The amount of information about users made available from their IP addresses varies greatly, for instance depending on how they are connected to the Internet. The Turnkey Foundation Inc. does not release any information about the collection of this address to any third parties. The Turnkey Foundation Inc. archives the logging of IP addresses for security reasons. The Turnkey Foundation Inc. collects and archives basic logging for website statistics. These log files show the daily number of visitors to our Website and its subdirectories, the daily requests we receive for particular files, what server locations those requests come from, including from which countries, as well as the domain names of the servers or browsers accessing the Website. These aggregated statistics are primarily used internally to provide better service to the public, but may also be provided to others. The Turnkey Foundation Inc. does not sell, rent, lend or give personally identifiable information collected from you on the Website to marketers. One exception is that, although unlikely, The Turnkey Foundation Inc. may be required by law enforcement or judicial authorities to provide personally identifiable information. In these cases, we will provide this information as and to the extent we have determined that the disclosure of any such information is appropriate. By using our Website, you consent to the collection and use of information by The Turnkey Foundation Inc. as discussed above. Please see The Turnkey Foundation Inc. Website Linking Policy. Other organizations linked to this Website may collect information about you when you access their websites. We cannot control this collection of information. You should contact these organizations directly if you have any questions or concerns about their use of the information they collect. These third party websites may have their own privacy policies or no policy at all. We encourage you to review the privacy policies of any third party websites before providing any of them with your personal information. These terms and conditions shall be governed by and construed in accordance with the laws of the State of New York, without regard to its choice of law provisions. Both you and The Turnkey Foundation Inc. hereby irrevocably consent to the jurisdiction of the state and federal courts located in New York. Thank your for visiting. Should you have any questions concerning any of our policies, we encourage you to contact us at info@arborfg.com. @ The Turnkey Foundation, Inc. d/b/a Arbor Financial Group is an Equal Housing Lender. In all jurisdictions, the principal (NMLS: 236669) licensed location is 2932 Daimler Street, Santa Ana, CA, 92705. Phone: (866) 639-6554. This is not a commitment to lend. Restrictions apply as to LTV and credit score. Rates and terms are subject to change without notice. Terms based on loan program guidelines and APR. The credit may not be extended if we find that you do not meet the criteria used to select you for this offer. The products displayed are based upon customers who have not been late on any other mortgage payments, been discharged in bankruptcy or have been subject to foreclosure. APR based on specific loan amount posted. Program savings available upon confirmed qualifications. National Mortgage Licensing System #236669. Arbor Financial Group License #0185041. Call for details. LICENSED BY California BRE Real Estate Corporation License Endorsement License/Registration #: 01845041. California DBO Finance Lenders Law License/Registration #: 60DBO43870. Colorado Mortgage Company Registration License/Registration #: N/A. Georgia Mortgage Lender License/Registration #: 43780. Michigan Mortgage Lender License/Registration #: N/A. Oregon Mortgage Lending License/Registration #: ML-5392. Washington Consumer Loan Company License/Registration #: CL-236669. 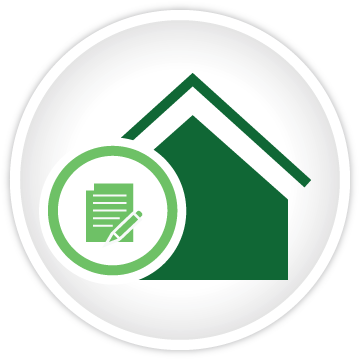 Idaho Mortgage Lender License/Registration #: N/A. Not Active States: The rest of the states. Under ARBOR's Close on Time Guarantee, ARBOR will reduce its administration fee by $500 if a purchase transaction does not close on or before the anticipated date of close of escrow, as agreed to by ARBOR. The Close on Time Guarantee is subject to the following terms and conditions: The loan must be a purchase transaction. The complete loan package must be received by ARBOR's processing department 20 days prior to the close of escrow. The Close on Time Guarantee timeline begins when the complete loan package is received by the processing team. The Close on Time Guarantee does not apply if the failure to close within the anticipated close of escrow date is due to events or circumstances beyond ARBOR's control. These include, but are not limited to, delays caused by an appraisal value on the subject property that is not acceptable to ARBOR, acts or omissions by the escrow or title company, second lien holder approvals, short sale approval, condo project eligibility or loan conditions imposed by ARBOR or the investor that, despite reasonable diligence by ARBOR, are not met by any party in a timely manner. The Close on Time Guarantee does not apply to brokered loans. All programs are subject to borrower and property qualifications. Rates, terms, and conditions are subject to change without notice. The Turnkey Foundation, Inc. Arbor Financial Group. Equal Housing Lender.